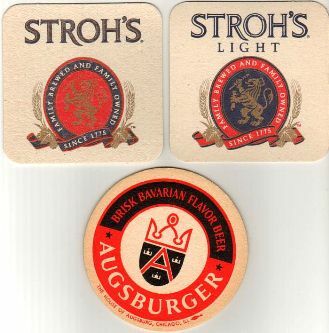 Lot of 2 – Both are 3 1/2 inch, 1-sided from the late 50’s or early 60’s. 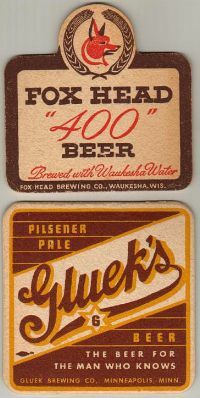 The Fox Head 400 has some toning, more so on the right edge (grade 8). The Glueks is in great shape (Grade 9+). 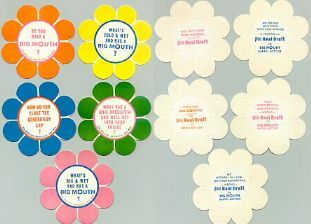 Lot of 3 – All are 3 1/2 inch, 1-sided from the 50’s and early 60’s. Nice shape on all. 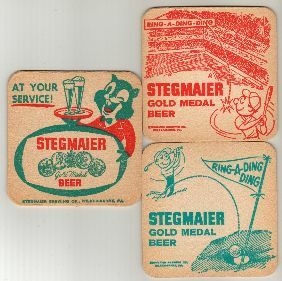 Lot of 2 Stegmaier; Chipmunk on left is 1-sided. 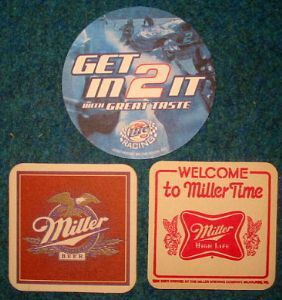 Baseball and Golf on the right is 2-sided. Photo shows both sides. Light edge toning. 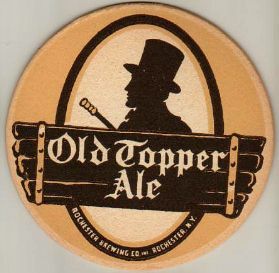 Old Topper Ale; 4 1/4 inch, 1-sided. Great shape. 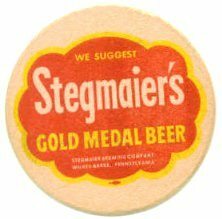 Stegmaier; 3 1/2 inch, 2-sided. 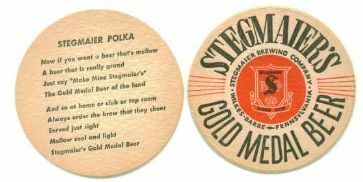 Version with the Stegmaier Polka on the one side. Great shape. Photo shows both sides. 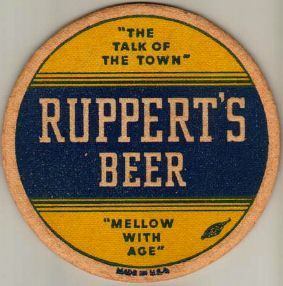 Rupperts Beer; 4 1/4 inch, 1-sided. Overall heavier toning. 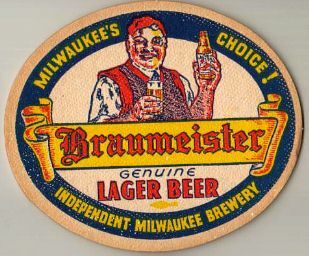 Braumeister; 4 5/8 x 3 7/8 inch, 1-sided. 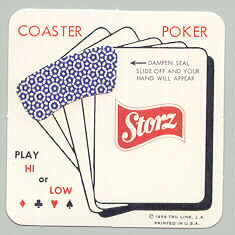 Nice, colorful older vintage coaster with some edge toning. 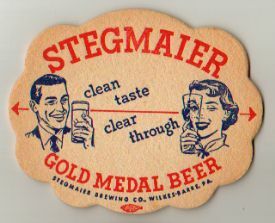 Stegmaier; 3 1/2 inch, 1-sided. Super shape. A little less common than most of the 3 1/2 inch Stegmaiers. 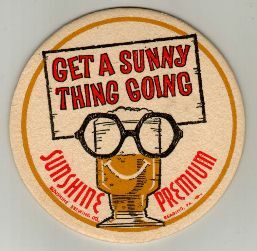 Get a Sunny Thing Going; 3 1/2 inch, 1-sided. Great shape. 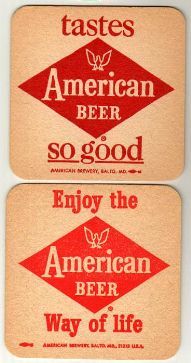 Lot of 2 American Beer; 3 1/2 inch, 2-sided. Both are the same on both sides. Both look like 60’s vintage and have light overall toning.